After an intense workout, there is nothing better than recharging your depleted muscles with a powerful post workout drink. With so many supplements on the market nowadays, it's becoming increasingly difficult to decipher which ones to buy as far as quality and health are concerned and last but not least, supplement consumption timing. Do the supplements really work? What ingredients are used? All these are questions that pop in the mind to begin with. What you should know is look for supplements that include muscle building ingredients like Creatine Monohydrate, L-Glutamine, L-Leucine(BCAA), L-Isoleucine(BCAA), L-Valine(BCAA), L-Carnitine L-Tartrate, Beta Alanine, Betaine Anhydrous, Bioperine and with reasonable dosage as well. Creatine - Provides power, strength and fosters muscle growth and anaerobic endurance. L-Glutamine - Assists muscle recovery, reduces muscle soreness and fights against overtraining. L-Leucine - Basically the most important amino acid of the 3 BCAAs, L-leucine stimulates protein synthesis for effective muscle repair and rebuild, thus promoting muscle growth. L-Isoleucine - Boosts energy, increases stamina and helps body recover from strenuous exercise. L-Valine - Regulates blood sugar, increases energy and prevents muscle breakdown. L-Carnitine L-Tartrate - Speeds recovery and boosts androgen receptors located in muscle cells. Androgens are hormones such as testosterone and by increasing testosterone levels, you'll gain more muscle mass and maximize muscle growth. Beta Alanine & Betaine Anhydrous - Induces power, stamina and strength, increases recovery and triggers muscle growth while promoting fat loss. Bioperine - Maximizes ingredient uptake and nutrient absorption. A lot of post workout supplements contain artificial sweeteners like sucralose and acesulfame potassium and these are questionable for health as to their long term side effects or even short term whereby some people have adverse reactions like headaches, migraines, dizziness and bloating just to name a few. Thankfully, after research, I've been able to find post workout supplements which don't have any sweetener at all or which use natural sweeteners like stevia, xylitol and erythritol. Stevia is actually a herb whereby the sugar is extracted from its leaves whereas xylitol and erythritol are both sugar alcohols obtained by fermenting plant products like sugar cane bagasse/pulp or corn cobs. Sugar alcohols are reduced-calorie sweeteners and are great substitutes for table sugar. Let's face it, knowing when to take your supplements is critical. You don't want to consume your post workout drink 2-3 hours after your training for example, the earlier the better. 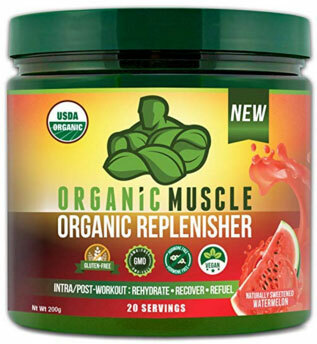 Many people call this the anabolic window and some think it's just bro science, well everyone is entitled to their own opinions but I believe right after a grueling workout your body is hungry and craving for nutrients and this is the ideal time to feed it right away and there is nothing better than a post workout liquid meal. (1) Immediately post workout, you can have your muscle recovery supplements like BCAAs, Glutamine, Creatine and Carnitine. 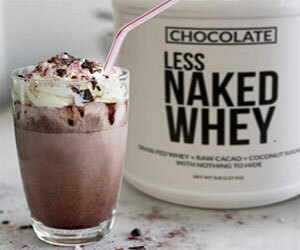 (2) After 20-30 minutes, you can have your protein shake. 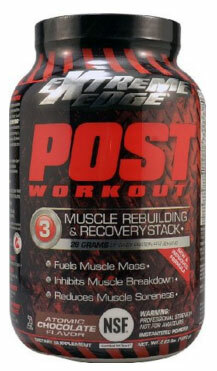 (3) You can have both the muscle recovery supplements and post workout protein at the same time. Simply mix them together and consume immediately post workout or within 15-30 minutes. 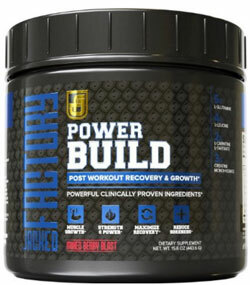 (1) POWERBUILD Post Workout Recovery Muscle Building Supplement - Contains L-Glutamine, L-Leucine, Creatine Monohydrate, L-Carnitine L-Tartrate, Beta Alanine, Betaine Anhydrous and Bioperine. Contains xylitol, erythritol and stevia. (2) VINTAGE BUILD - The Essential 3-in-1 Muscle Builder Post Workout Supplement - Contains L-Leucine, L-Isoleucine, L-Valine, Creatine Monohydrate and L-Glutamine. Contains stevia. 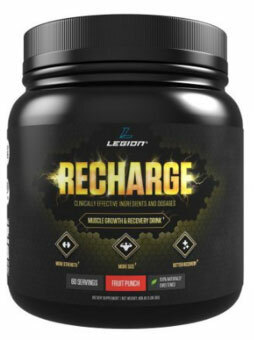 (3) LEGION RECHARGE Post Workout Supplement - Contains Creatine Monohydrate and L-Carnitine L-Tartrate. Contains stevia. 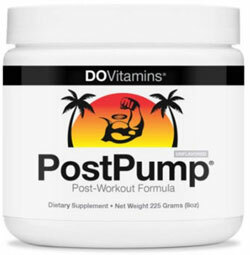 (4) POSTPUMP Post Workout Recovery Formula - Contains Creatine Monohydrate, L-Carnitine L-Tartrate, L-Leucine, L-Isoleucine, L-Valine and L-Glutamine. Contains no sweetener at all. 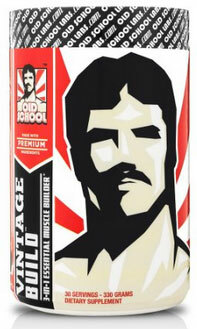 (5) BLUEBONNET Extreme Edge Post Workout Protein Powder - Get the protein and carbs all in one for post workout recovery. 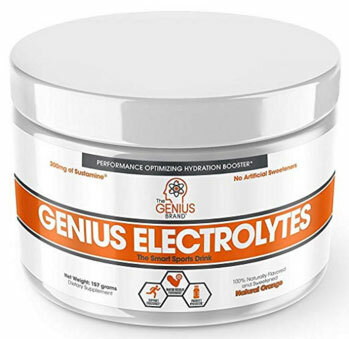 Contains cross-flow microfiltered whey protein isolate and whey protein concentrate for quick muscle repair and rebuild as well as complex carbohydrates with fast acting long-chain glucose polymers like waxy maize and maltodextrin to replenish depleted glycogen stores. Contains xylitol and stevia. 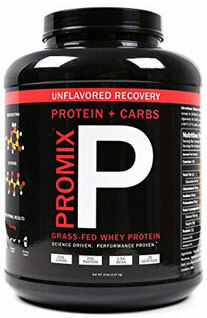 (6) PROMIX Recovery: Scientifically Proven 2:1 (Carbohydrates:Protein) Maximize Your Training Effect, 5LB - Supercharge your muscles post workout with this grass-fed whey protein(for fast muscle repair and rebuild), hydrolyzed organic dextrose and hydrolyzed organic maltodextrin combo(for optimum muscle glycogen replenishment). This proven carbohydrate matrix comprised of hydrolyzed short and long chain organic dextrose and maltodextrin derived from organic tapioca also known as cassava will replenish your depleted glycogen stores(energy storage cells) after a grueling workout. Contains no sweetener at all.